When I was making these dulce de leche cookies today, Lucy was up to something. I could tell simply by looking at her. She had that typical mischievous look in her eyes. You know, that look you sometimes see in little kids? When they’re not quite old enough yet to hide the fact that they are up to something? That look… The don’t-look-at-me-I’m-an-innocent-little-angel-look. Not that I bought that! Besides, I happen to love sneaking up on Lucy when she’s verging on the edge of doing something naughty, like marauding my sock drawer or chewing on the Rocking Rebel’s vinyl collection, so whenever I have the slightest feeling that Lucy might do something naughty, I jump at the chance to stalk her! I grew up thinking that it is basically impossible to sneak up on a dog, so when I found out that I could in fact sneak up on Lucy whenever she’s doing something mischievous, I was thrilled! Sure, it means that I can stop her from eating my socks, but what’s best is that I can stand there, watching her, waiting for her to notice me! It’s just too funny! And adorable! And then when she finally does notice me (sometimes this takes her about 10 minutes), she gives me that whole oh-oh-busted-look, which is just too cute on a puppy! 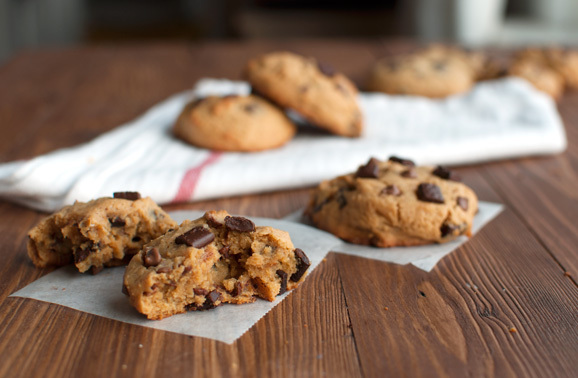 So while I was in the process of making these cookies – well, making 6 batches of cookies to make sure they were as delicious as possible – every now and then I would sneak out off the kitchen to check up on Lucy rummaging about. First, I found her nuzzling the Rocking Rebel’s sneakers, then I caught her almost choking on a sock – still no idea where she found it; the bedroom door was closed, and finally I had to rescue her from an attacking towel that didn’t want to let go. The life of a puppy is tough, man! Anyway, these cookies aren’t. 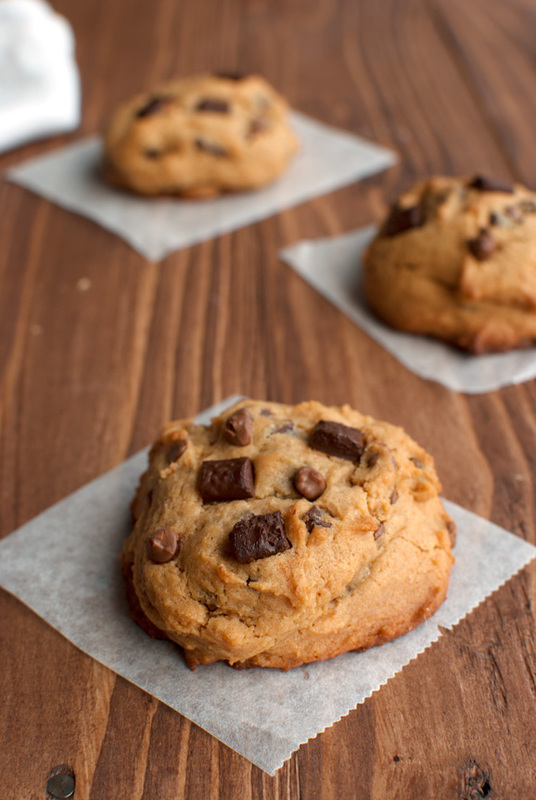 I know this blog is called ‘The Tough Cookie’, but I like my cookies soft and perfect. And these are just that! Instead of using granulated sugar, I used a combination of light brown sugar and a lot of dulce de leche to make these cookies incredible and scrumptious. They are not overly sweet, as I simply substituted the amount of sugar I would normally use with dulce de leche, but they do have a hint of that typical dulce de leche complexity about them. 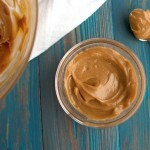 Apart from that, it’s hard to tell the dulce de leche is even there! It’s like a secret ingredient; if you don’t know it’s there, you’ll have a hard time putting your finger on what exactly makes these cookies so delicious. By the way, these cookies are huge! Like big-as-the-palm-of-my-hand kind of huge. Which is good, of course. Everyone likes gigantic cookies, right? 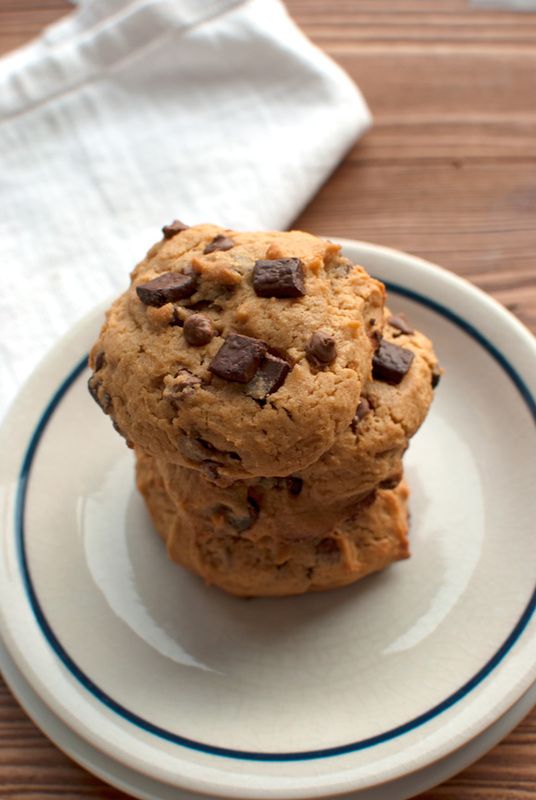 Plus, these cookies are not just big, they are also soft, pillowy and perfect in every way! Soft on the inside, with enough crunch on the outside to make a crunch noise but without the crumbs falling down your shirt. 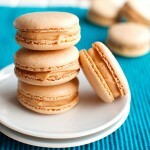 And like I said, they have a hint of that typical dulce de leche flavor, with subtle milk and caramel notes. Flavors that pair beautifully with chocolate! By the way, is there a flavor that doesn’t go with chocolate? I can’t think of any. I’ve used chocolate in chili, put chili in chocolate, made a chocolate beer cake, sipped from a chocolaty beer, tried chocolate with fruit, veggies and nuts and even made a chocolate gravy once! 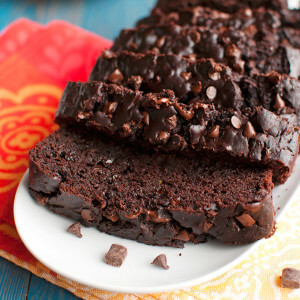 Chocolate just makes everything a little better! Okay, never mind. I just found this site. Aaaaanyway, chocolate goes great with cookies. 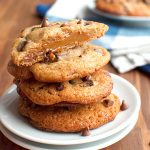 Especially these deliciously, dreamy dulce de leche cookies! So I added some. Or rather, I added a lot! 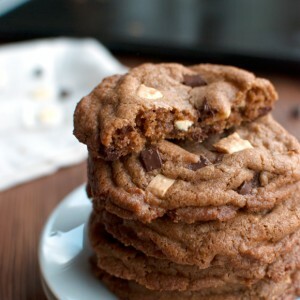 To make these cookies even more delicious than they were intitally, I added a mixture of dark and milk chocolate. 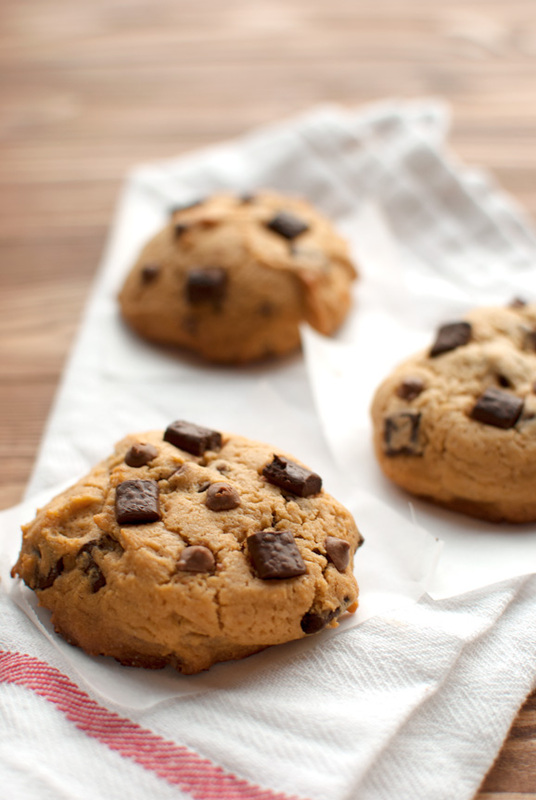 Dark chocolate chunks, and milk chocolate mini chips. Well, that’s what I had in my pantry. But feel free to use whatever you have lying around in yours instead. I also had white chocolate chunks, and I think they would also go really well with these dulce de leche cookies, but I didn’t feel like using them. I wanted dark chunks in my cookies. update 20-2-2014: one of my readers just informed me that there was a typo in the original recipe. It said to bake the cookies at 250°F, but it should have been 350°F. I’ve updated the recipe, but if you’ve saved it to your computer, please make sure to delete that copy and save this corrected version instead. I’m sorry guys, I hope no one ended up with dramatically underbaked cookies! In a medium-sized bowl, cream together the butter and sugar until the mixture is nice and fluffy. Mix in the dulce de leche and vanilla until smooth. Add the egg and mix until incorporated. Don't overmix the egg, just mix until the batter is smooth (this should take only a few seconds), scrape the sides of the bowl with a rubber spatula and mix for another 2 seconds. Next, add the flour, baking powder and salt. Using a rubber spatula, carefully stir to combine. Lightly press your finger against the dough. The dough should not be sticky. When you pull your finger back, only a few small crumbs of dough should stick to it. If larger crumbs stick to your finger, add another tablespoon of flour and check again. Don't add more than a tablespoon though, otherwise the cookies will be too tough. Stir in the chocolate chips. Scoop out ¼ cup worth of dough and plop the dough onto a cookie sheet or baking sheet (mine was black), about 5 centimeter (2 inches) apart. You could also divide the dough into 10 equal chunks by eye if you don't have a measuring scoop. 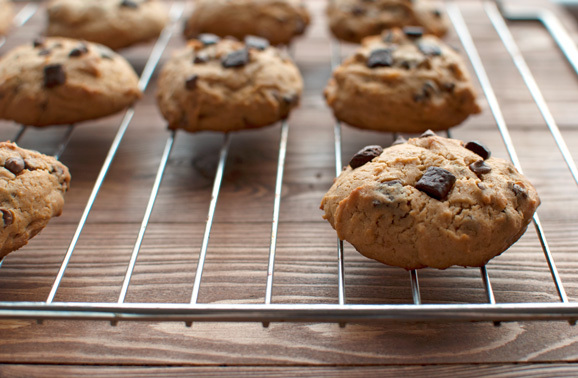 Bake the cookies for 15 minutes, remove from the oven and allow to cool on the baking sheet until cool enough to handle. Transfer to a wire rack and allow to cool to room temperature. Serve with milk or tea. Enjoy! * when I say 'butter at room temperature', I mean: take the butter out of the fridge 30-60 minutes before you intend to start making the cookies and allow to come to room temperature. So don't place it next to the preheating oven or next to the central heating. This will cause the butter to become too greasy and soft and this causes the cookies to spread too much! These look so good! I will be making them! My five year old is named Lucy too! She will be thrilled to know someone has a puppy with her name! I think there’s a typo on the temp, it’s supposed to be 350 not 250. Planning on making these today and was wondering why it looked so weird and looked up the conversion. Thanks! The Cookies are just amazing!! My dough was a little bit sticky, but a few spoons of flour and it was perfect. Hi Dan! 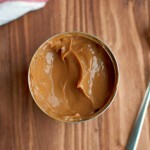 If you make one can of dulce de leche, you’ll have enough. I always use a 10 ounce can. Hi….just going to make this recipe…but…in the ingredient list you put baking powder and in the method you put baking soda….wondering which one it is…please and thanks!!! Yum!Dulce de leche and chocolate! Hi, I’m planning on making these for a family brunch because they look TOO delicious! Do you think it’s possible to freeze them a couple of days until I have to use them? 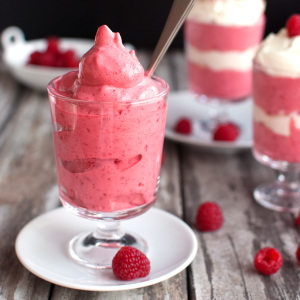 hi im planning to make this tomorrow.but im just curious if its ok to use white sugar than brown sugar. Hi May, have you made the cookies? It’s fine to use white sugar instead of brown sugar, but the cookies might turn out be a bit drier.